Friday, November 9, 2018, was the beginning of Rabi al-Awaal, the third month of the Islamic calendar. It is a significant month in the Islamic year because it was in this month that the Prophet Muhammad ﷺ was born. As the life and teachings of the prophet Muhammad ﷺ play an important role in the religion, it is a time in which Muslims celebrate and pray, rejoicing in the memory of the Prophet ﷺ. The Mawlid, the prophet’s actual birthday ﷺ, is for some is an important religious holiday, while other groups of Muslims consider celebration sinful. Though the controversy and debate surrounding the holiday can be exciting and interesting, it often takes away from the month itself. Rabi al-Awwal and the Mawlid are such important parts of the year, and it is sad that we often spend so much time fighting and debating that we forget what the month is really about. 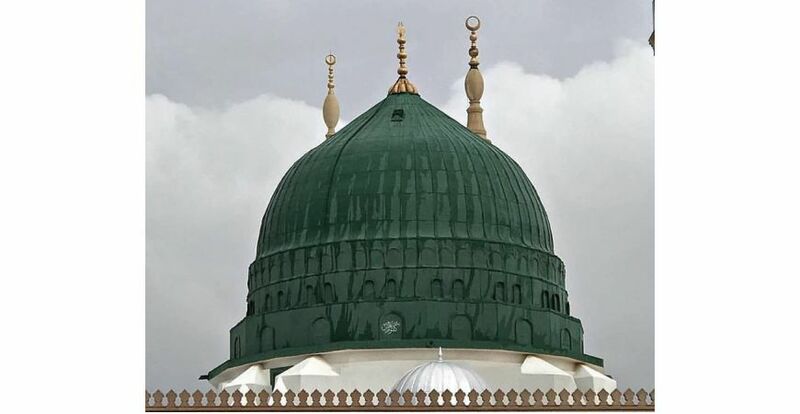 So, for this post, we’ve compiled 5 interesting facts surrounding the birth of the Prophet ﷺ that have no connection to the controversies surrounding the Mawlid. His Birthday: The Prophet ﷺ was most likely born on the 12th of Rabi al-Awwal. Although Shia sects generally claim it is the 17th, we know he was born on a Monday, and the Prophet ﷺ encouraged Muslims to fast on Mondays because of this. The year most likely was around 570CE in the Gregorian calendar, dubbed “The Year of the Elephant” in Islamic traditions. Ultimately, however, there is actually no irrevocable source with the exact date of his birth. The location: Muhammad ﷺ was born to a prominent tribe in Mecca, Saudi Arabia, where he lived until he fled to Medinah after being prosecuted. However, as it was a tribal society, people were probably moving around a lot and living in tents, so the exact spot of his birth is actually unknown. Aminah’s Dreams: Aminah was the prophet’s mother, and during her pregnancy, she related several phenomenal vision she had. Firstly, she related a vision in which she saw a light coming from her and extending all the way into Syria. This is interesting as it roughly corresponds to the spreading of Islam around the prophet’s death ﷺ. Another one brought her the name “Muhammad,” which was a fairly strange name at that time. He was born fatherless: His father, Abdullah, passed away during the pregnancy. He had left on a caravan trip to Palestine but had fallen ill on the route home. The caravan returned without him, and he never recovered to see his son. Aminah remained under the care of his father, Abu Muttalib, but she too died soon after, leaving Muhammad ﷺ an orphan at the age of six. The star of Ahmad: In one tradition, which is not verifiable, the prophet Moses narrated to his people that another prophet was to come after him. He mentioned that when the prophet would be born, there would be a certain star in the heavens to serve as a sign. One Jewish scholar, gazing at the stars on the night of the prophet’s birth, noted one star which he had never seen before, and that he recognized as the one which Moses and promised marked the birth of a new prophet. Regardless of your decision to celebrate the Mawlid or not, it is still an important part of Islamic and world history. Furthermore, the prophet Muhammad ﷺ and his teachings are so essential to Islam and Islamic life, that they transcend the bound of any month or day. Instead, we should rejoice in our messengers throughout the year by prayer, remembrance, and trying our best to honor them by showing adherence to their teachings.